Yahoo Japan is the single biggest online platform for elephant ivory sales in Japan, according to a new TRAFFIC investigation, which recorded a staggering 4,414 ivory items plus 35 whole tusks for sale over a four-week period in June and July 2018. Tokyo, Japan, 13th September 2018 - Yahoo Japan is the single biggest online platform for elephant ivory sales in Japan, according to a new TRAFFIC investigation, which recorded a staggering 4,414 ivory items plus 35 whole tusks for sale over a four-week period in June and July 2018. The latest findings were revealed today in System Error, Reboot Required: Review of online ivory trade in Japan, which finds the overall number of elephant ivory items for sale on Yahoo Japan had fallen by 55%—from 9,788 to 4,414—compared to a similar survey in 2017. However the study found that the combined total value of ivory traded fell by only 16%, to JPY 37.8 million (USD 340,626) over the same time period, largely because of an increase in the sales of whole tusks, from 22 to 35. Under current Japanese legislation, only sales of whole ivory tusks have to be registered, but two of the tusks were sold without appropriate documentation. 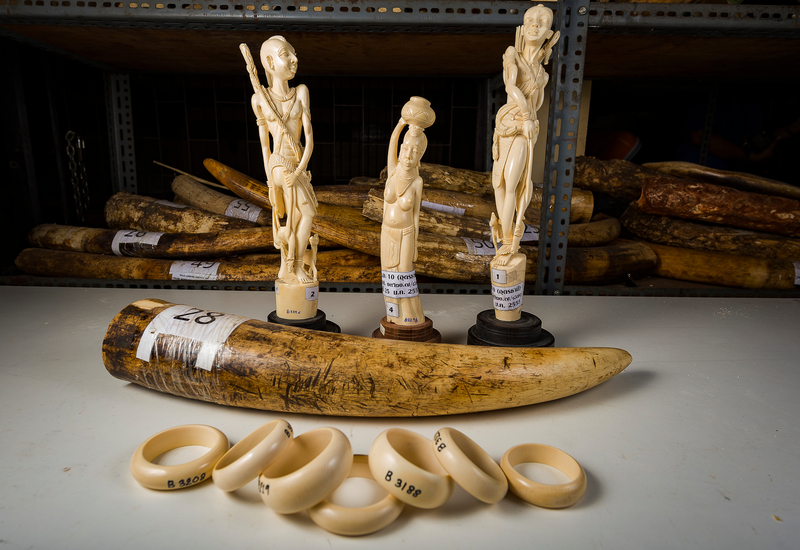 The buoyant ivory sales on Yahoo Japan were in marked contrast to other major Japanese retail platforms, notably Rakuten-Ichiba, Rakuma and Mercari—all of whom introduced voluntary ivory bans in 2017 following international concerns about the sale of ivory in domestic markets fuelling demand and leading to the poaching of elephants. 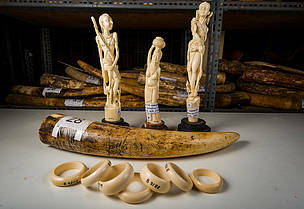 Shops selling ivory were no longer identified on Rakuten-Ichiba and there was a significant reduction in ivory advertisements on Mecari (up to 98%) and on Rakuma, although a number of cryptic advertisements, use of code words, and rapid turnover in ivory products indicated some ongoing persistent trade. “The major online retail outlets in Japan have aligned their policies with those of the international community—apart from Yahoo Japan, who appear to undervalue the impact and risk of continuing to trade ivory,” Tomomi Kitade, Head of TRAFFIC’s Japan Office and lead author of the report. Some 88% of the trade in ivory observed on the Yahoo Auction website, part of the Yahoo Japan group, lacked proof-of-legality. The platform has also previously been identified as a source in the illegal export of 3.2 tonnes of ivory to China over an 18 month period up to April 2012. Although there is a government schemefor voluntary product certification, the study found its use sparse amongst online retailers and nearly non-existent on other platforms. IvoryTowers:An Assessment ofJapan’s Ivory Trade and Domestic Market, a TRAFFIC study released in December 2017 revealed how poor regulation of the domestic ivory market in Japan had led to illegal exports of ivory, particularly to the Chinese market. Japan’s lack of adequate regulation of its domestic ivory market means the country is failing to live up to its commitments under the Convention on International Trade in Endangered Species of Wild Fauna and Flora (CITES), which calls on countries to take every measure to ensure domestic ivory markets do not contribute to elephant poaching or illegal trade. “WWF through its representatives in Asia, Africa, Europe, and North America will be calling upon Yahoo Japan to institute an immediate voluntary ban on trading elephant ivory through its platforms. Japan is in urgent need of policy reform to eliminate unregulated ivory trade effectively from its domestic market and to live up to international expectations.” said Margaret Kinnaird, WWF Wildlife Practice Leader. The Global Coalition to End Wildlife Trafficking Online is a collaboration between world’s leading e-commerce and social media companies to render online platforms and apps inoperable for wildlife traffickers to trade in endangered and threatened species. The founding members: are Alibaba, Baidu, Baixing, eBay, Etsy, Facebook, Google, Huaxia Collection, Instagram, Kuaishou, Mall for Africa, Microsoft, Pinterest, Qyer, Ruby Lane, Shengshi Collection, Tencent, Wen Wan Tian Xia, Zhongyikupai, Zhuanzhuan and 58 Group, convened by TRAFFIC, WWF and IFAW. Rakuten, a Japanese e-commerce company, has since joined the Coalition in August 2018. Seized ivory. Department of National Parks, Bangkok.